Greater New Orleans Water Collaborative - American Hydrotech, Inc.
On September 19, 2017, Hydrotech will be presenting Beauty Meets Performance: Vegetated Roofs as a Stormwater BMP. 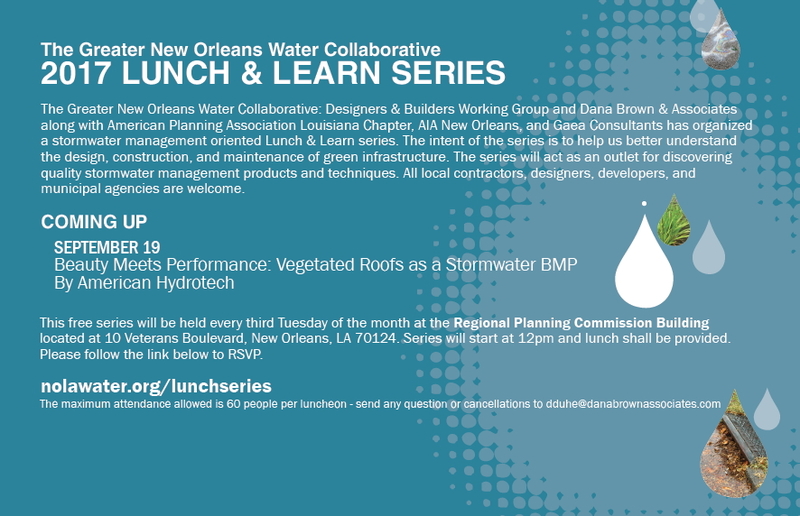 The intent of the lunch series is to help water professionals better understand the design, construction, and maintenance of green infrastructure. The series will act as an outlet for discovering quality stormwater management products and techniques.